Our laboratory is situated in Überlingen on Lake Constance, approximately 500 meters from the Westbahnhof (West Train Station). 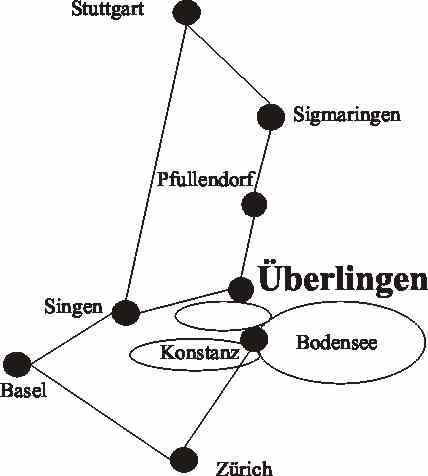 If you are coming from the motorway, exit at Überlingen Aufkirch/Krankenhaus and drive towards Stadtmitte (town centre). After passing two old arches you will come to a traffic light (with two colours). Take your right and drive circa 500 meters until you come to a train crossing. Go right over the crossing and you will see a yellow house on the right with the name Haus Weingarten, where the laboratory is located. By train we can be reached by disembarking at the Westbahnhof (West Train Station), it is listed as Überlingen Therme in the schedule.